Movies are always a good option during the school holidays but they can be horrendously expensive for families especially with all the add-ons such as popcorn and ice-creams. So it is great that Perth offers a couple of free outdoor options. Bring your own treats and you have a totally free time of it. 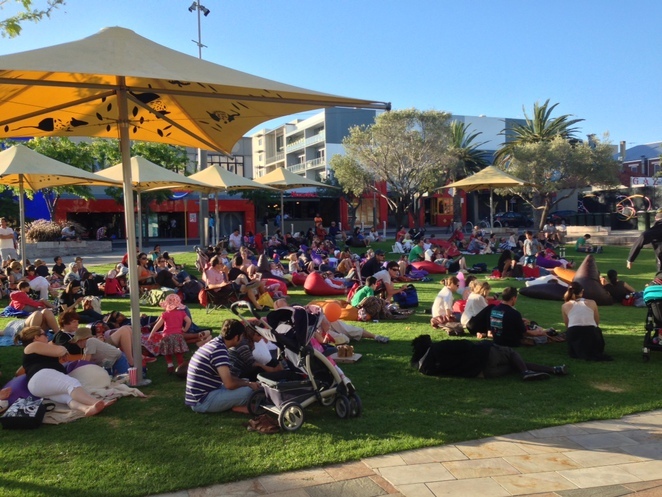 Northbridge Piazza have a program called Free Flicks for Kids which is now in its fourth year. The free screenings are on offer, every Saturday afternoon from October 2013 to May 2014. Families are invited to bring a picnic from home and to use the Piazza's ultra - comfy beanbags. The fabulous Piazza has an outdoor LED screen which operates 24 hours a day showing films, sporting events and music clips. Some of the films on during the school holidays are also based on famous books which means you could also spend some time reading these classics to your kids during the holidays once Hollywood has whetted their appetites. First up is the The Borrowers (1998) - (G rated) on the 4th of January from 5.30 to 7.30pm. This is the gorgeous story of a family of tiny people people who live in the walls and floors of an English house and "borrow" from the big people so they can survive. It is based on the famous novel The Borrowers by Mary Norton. On the 11th of January there will be the Disney classic Lady and the Tramp -- the heartwarming love story of a spaniel named Lady who lives with an upper class family and how she falls for a street mutt called Tramp. Their love wins through despite the obstacles of their birth. It is also available as a classic Little Golden Book. Aladdin is taken from The Book of One Thousand and One Nights (The Arabian Nights), and you will find many different editions of this famous story. The film is another Disney classic and it is screening on the 18th of January from 5.30 to 7pm. On the 25th of January (5.30 to 8pm) the family can watch Ella Enchanted (2004) - PG. The film is based on the book of the same name by Gail Carson Levine which won the Newbery Medal. It is a retelling of Cinderella featuring lots of mythical creatures such as fairies, elves, ogres, gnomes, and giants. On the 1st of February there is a screening of Mulan (1998) - G between 5.30 to 8pm which is based on an ancient Chinese ballad poem. It is set in China during the Han Dynasty and is the story of an adventurous girl. Even after the school holidays the incredible line-up continues of quality kids' films. There is George of the Jungle (1997) - PG on the 8th of February. This was always one of our family favorites when the kids were little. Labyrinth (1986) - G is is on the following week on the 15th of February. Next comes A Monster in Paris (2012 - PG) on the 22nd of February and Dudley Do-Right is on the 1st of March. This is another laugh a minute film. The movies all start at 5.30. The rest of the program hasn't been released yet but keep an eye on this website. No bookings are required. Just turn up and have fun. If you happen to live in the hills then the Shire of Mundaring also has outdoor family movies during the summer school holidays. 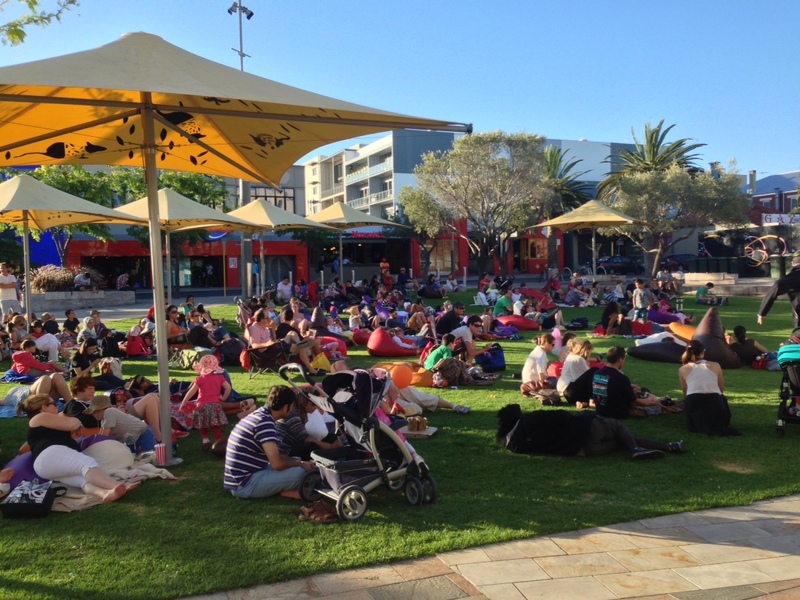 The program called Cinema Under Starlight is held at various venues including Elsie Austin Oval and Chidlow St. There are a a range of great films on offer including the much loved Babe, Wreck it Ralph, Rise of the Guardians and Despicable Me. For a poster with all the times and other information click here. Gates open at 6pm but films start just after the sun sets which is approximately 8pm. You should brink a blanket or your own chairs but food is available at each venue. In case of rain there is an alternative indoor venue for each event as well. For more information call 9290 6706 or visit this website. We have been to 20+ events at Northbridge and have never experienced what Jo, the previous commenter, refers to. It has always been a fun family outing and we will continue to go. 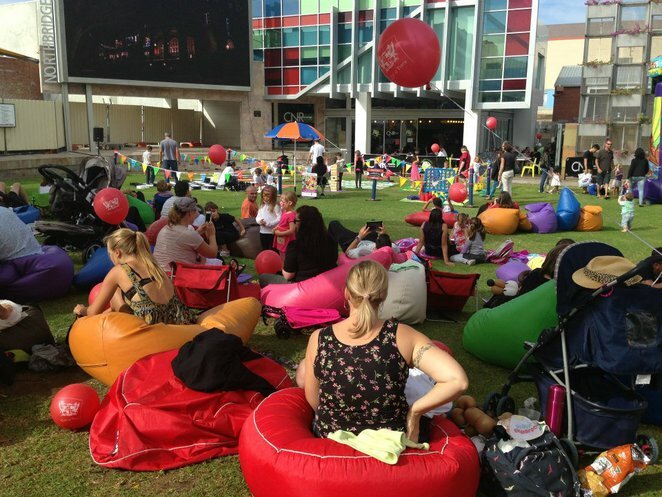 You do need to be there early as the bean bags are first come first served and we only go to movies our children will be interested in watching. They show all kinds of movies, new and old, and we have never felt the sound has been too loud. I would say give the event a go as we have never had a bad experience. It's free, entertaining & a 'must do' in my opinion.